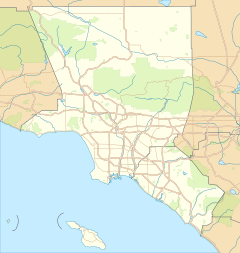 ^ 1.0 1.1 National Register of Historical Places - California (CA), Los Angeles County. National Register of Historic Places. National Park Service. 2007-02-14. 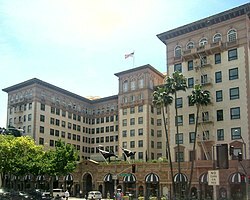 ^ 2.0 2.1 2.2 2.3 Seeing Stars:The Hotels of the Stars The Regent Beverly Wilshire Hotel. Seeing-stars.com. [2011-11-30]. 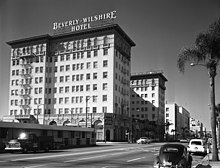 ^ 3.0 3.1 3.2 THE BEVERLY-WILSHIRE HOTEL. Travel Guide (lcsbg.com). 2011-02-09. （原始内容存档于2012-04-25）. ^ Obama and rain in L.A. make for potential traffic nightmare. Los Angeles Times. 2011-11-25. ^ Los Angeles: Top 10 ‘Entourage’ Hotspots. BlackBook Magazine. 2009-07-28.